Rubber bands include the six most popular sizes, color-coded by size for quick, easy use. Dispenser box fits in desk drawer tray, preventing bands from getting tangled with desk contents. 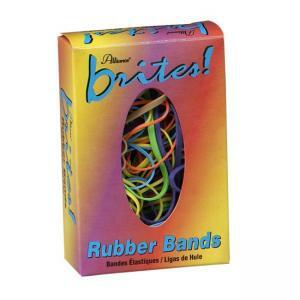 Rubber bands are sustainable and biodegradable.